Our wedding cakes are as unique creations designed especially for each wedding. 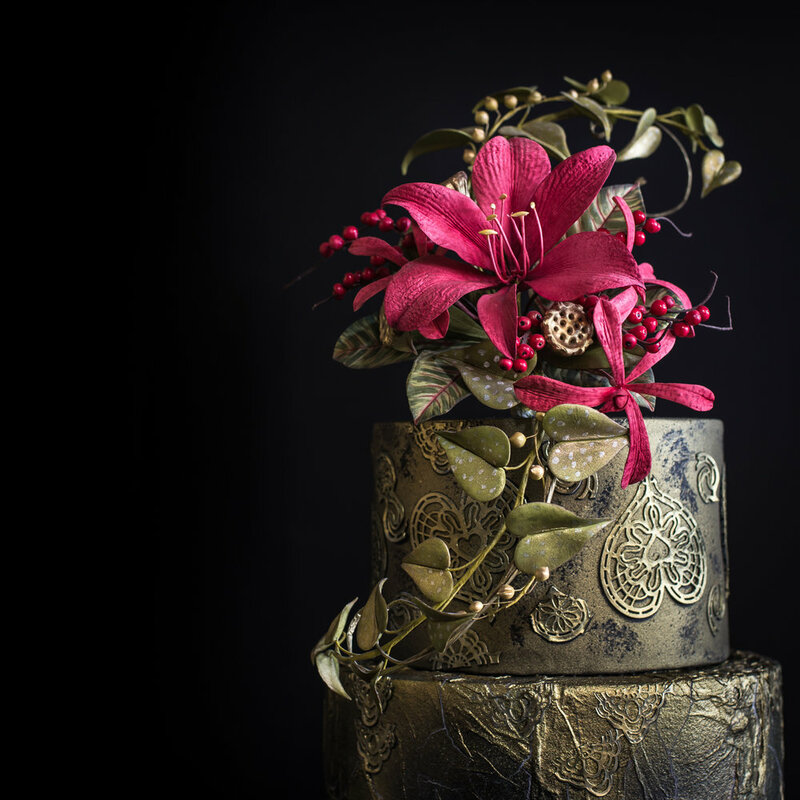 Our talented cake artists can design and create a masterpiece to suit your style of wedding from simple refined elegance to dramatic luxury cakes. We also have creative options for gifts for your guests or bridal party and unique ideas for destination wedding gifts. As a guide, our wedding cakes start from $1000 with pricing varying depending on the size and complexity of the design. 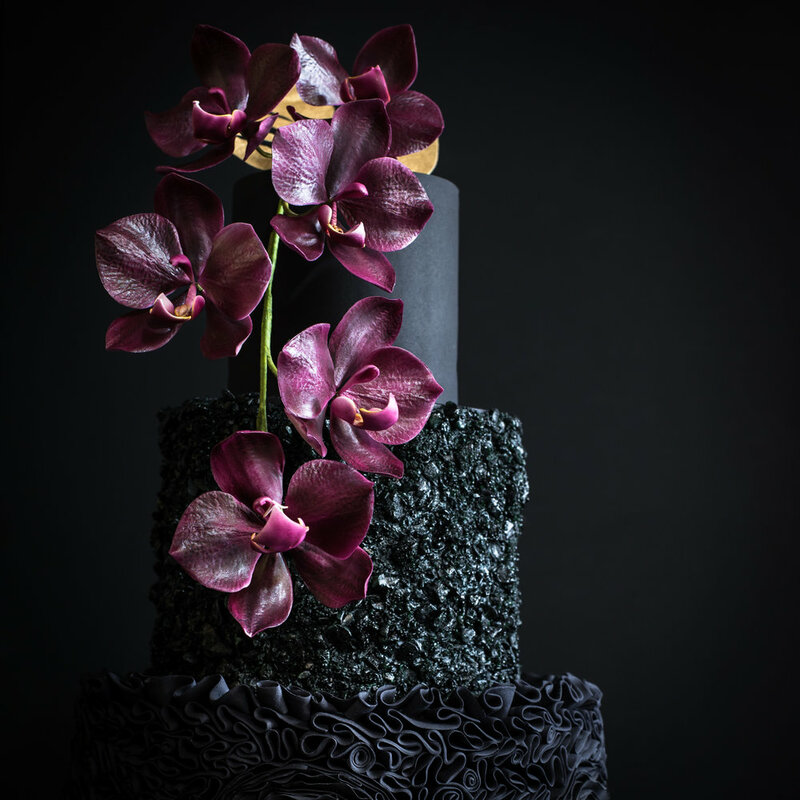 The cakes pictured below are showcase pieces with handcrafted sugar flowers and considerable fine detail decorating, cakes of this level of complexity start from $1800. We charge $110 for wedding consultations including a hand-drawn cake design which will be provided within 7 business days after the initial consult with a quote. To arrange a wedding consult with a Chef to discuss your wedding cake ideas, please complete the form below. Please note, consultations can be booked a maximum of 8 months in advance of the wedding date.